Capcom's Christian Svensson provided a brief update in the effort to release the original Mega Man Legends titles on PlayStation Network. Things are coming along; however, there's a bit of a problem with at least one of the games. "Actually, it looks like there's an IP risk on one of the titles so the IP group won't let us re-release it on PSN. We've been trying to see if we can get that resolved but it's going to take a long time." Sven could not disclose which of three Legends series titles is having trouble, however, we're led to assume that one or two of the three titles (MML1, MML2 and The Misadventures of Tron Bonne) are good-to-go as is. "The issues I'm speaking of are not audio related but I can't elaborate more unfortunately." My two cents: Mega Man Legends 2 is secure for release. For weeks now, Capcom has made a habit of releasing Mega Man Legends 2-themed avatars on PSN. Catering specifically to MML2 -- ignoring goodies themed after L1 and TMOTB -- may signify the coming of the game itself on PSN in the very near future. Just one of those wait and see things, I suppose. Whoever it is denying Capcom rights to release MML and MML2 on PSN, stop being dicks. Damn. What would your mother say? If it were Misadventures, Capcom would probably just sweep it under the rug and release the "main-series" games. So my money's on SOMETHING being wrong with L1. What? No clue. I hope "PSN" will include the PSP, though, due to my lacking a PS3. PlayStation 1 titles never get released on XBLA. @Anon2: Not by Sony, but Capcom owns these games. Legends 1 did come out on the 64, after all. Well, I don't have a PS3, and the PSP needs two analog sticks for me to care. I want a trilogy for the 3DS. I personally think it might be Tron Bonne's game, it has very complex programming that even the original PS1 had difficulty with, I think. Symphony of the Night wasn't a Playstation 1 titles, I guess. I never played Tron Bonne's game. And yet for some reason, I dislike it. Hilarious captcha: "moron". Hint much? "I personally think it might be Tron Bonne's game, it has very complex programming that even the original PS1 had difficulty with, I think." If it had difficulty, it wouldn't even be on the hardware to begin with. 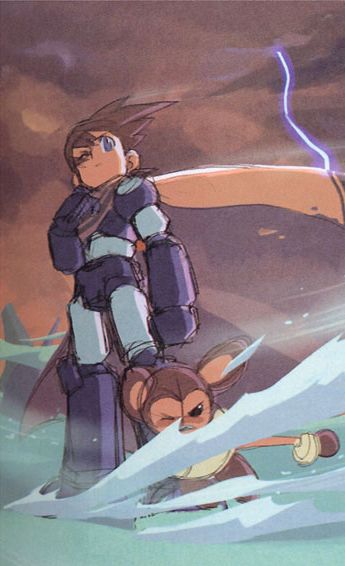 Tron Bonne also doesn't have anything over Legends 2 to make it special. It never did anything to push the hardware to its limits. If you're referring to why emulators have trouble with it, well that's just a problem with the emulators and not the game itself. @Anonymous: I thought I read somewhere that it did have some difficulty on the PS1. Guess I was wrong then. Y'know, I was thinking about this issue before. Capcom seems to be using New Generation Pictures as their go-to studio for recording character voices. I'd imagine they'll more than likely be using this studio to record all of the characters in MegaMan Legends 3's english release. If that were the case, since they'd be using new actors instead of the original Toronto cast anyway, I'd have a mind to simply go back in and replace the audio with new recordings. From a marketing standpoint that'd definitely bring in more downloads off the PSN. What could it even be? Adult magazines from L1 and L2? I hope they're working on other downloadable titles, too. I'd love to have X4 be portable. Well, the fact that they are even trying to put the series on the PSN is enough to make me happy. I'd rather see some 3DS ports for seperate sale or as part of a collectors edition. A lot of people can already play these games on PSP. It might sell better if there was something new. this is why copyright law is broken..